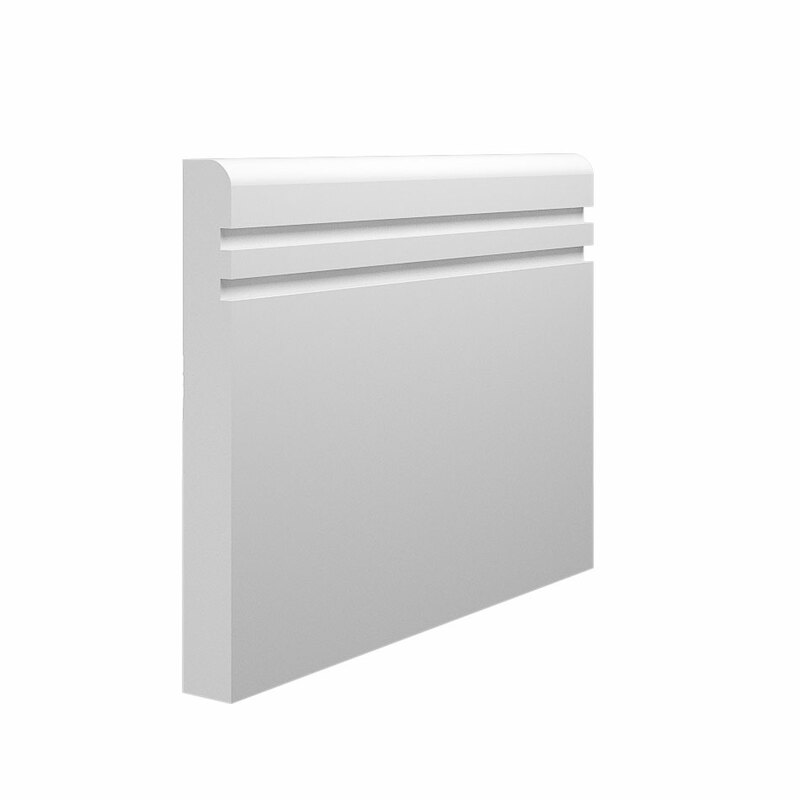 Here at Skirting World Ltd, we have a lot of skirting board profile designs to choose from. You may have seen some of them before like Ogee 1, Torus and Bullnose as these are pretty common designs for the industry. They are readily available from most large DIY outlets and we also produce them. This is because a lot of customers end up having some kind of work done inside there home and they end up needing to match / replace existing skirtings. But we also have a lot of very different designs that other companies don't offer. Our Grooved 1 Bullnose and Grooved 2 Bullnose profile designs are very popular and ideally named by how they look. They feature a simple groove (or 2!) to give them a modern touch on a simple bullnose design. To make these stand out, the lighting in the room should be given thought. Lambs Tongue 2 (has been a featured profile) is a sleek skirting board design that fits many surroundings. This design is a modern take on a traditional profile (the traditional version of the Lambs Tongue design is also popular within the UK). It is also easy to keep clean which is always a plus point when it comes to skirting boards. If it's a detailed piece of skirting board you're after, our Reeded profile designs might take your fancy. Reeded 3 features 3 curves at the top of the profile which flow parallel to one another. This profile design goes well with a tall skirting board. As you can see, our Monarch 1 design is very detailed and features a large profile. This suits a much more traditional interior and would be well suited on a skirting board that is 220mm tall (or even taller!). We try to provide as many profile designs as possible for you to get your perfect skirting board, but everyone has different tastes. That's why we offer a bespoke service. You send us a picture of the design you're looking for and we will try our best to get a 100% match.